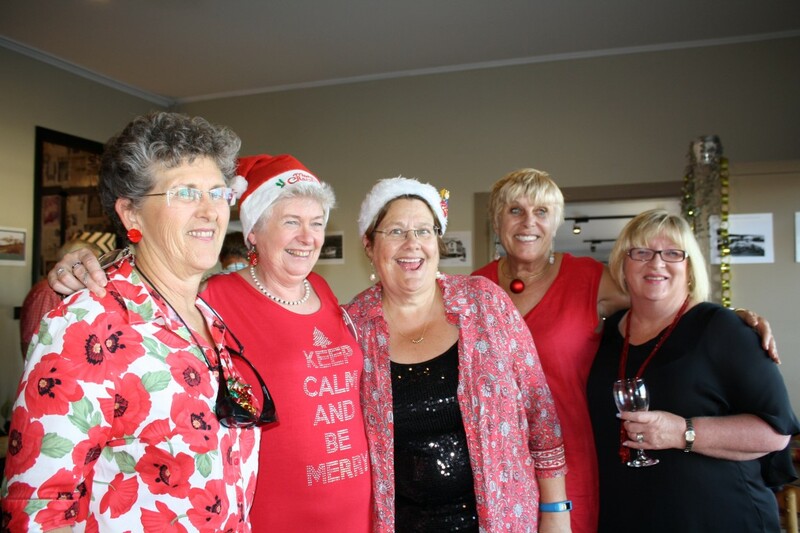 January 2016 – Narooma Rotary Club Inc.
A great time was had by all who attended the Christmas Party. 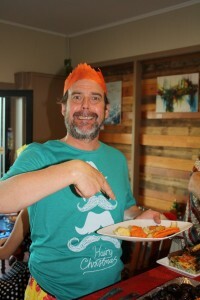 This happy chappy declared the food to be “schrumdiddleeumptious”. Angie has put together an exhibition on Rotary and the work our Club does, which is currently on in the Narooma Library. The photo shows just a part of the exhibition. 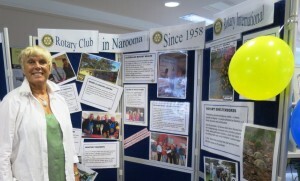 The Youth section will then be on display in the Narooma High School’s Library. 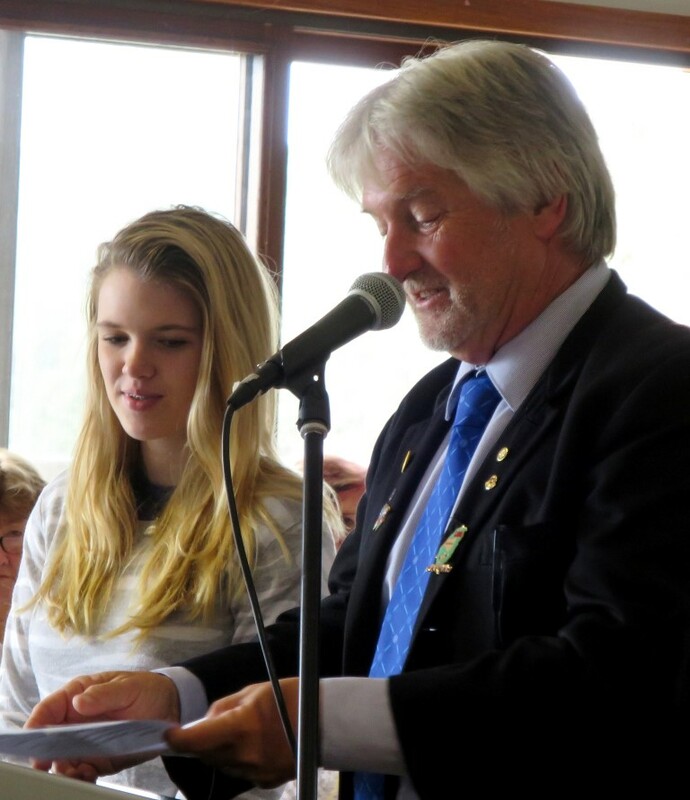 At the Australia Day ceremony, President Bob announced that Melanie Miller is the winner of the 2016 Narooma Rotary Tertiary Scholarship. She will be our special guest at our meeting this Thursday. The first market for the year was a huge success. Heaps of stall holders, heaps of visitors, great weather, and fantabulous “smoothies” of which Frank was lucky enough to be the first to try one. This fine effort didn’t just happen – it took a lot of hard work from many members. Thank you, thank you, thank you one and all. What a great community event, the bridge was groaning under the weight of people ! 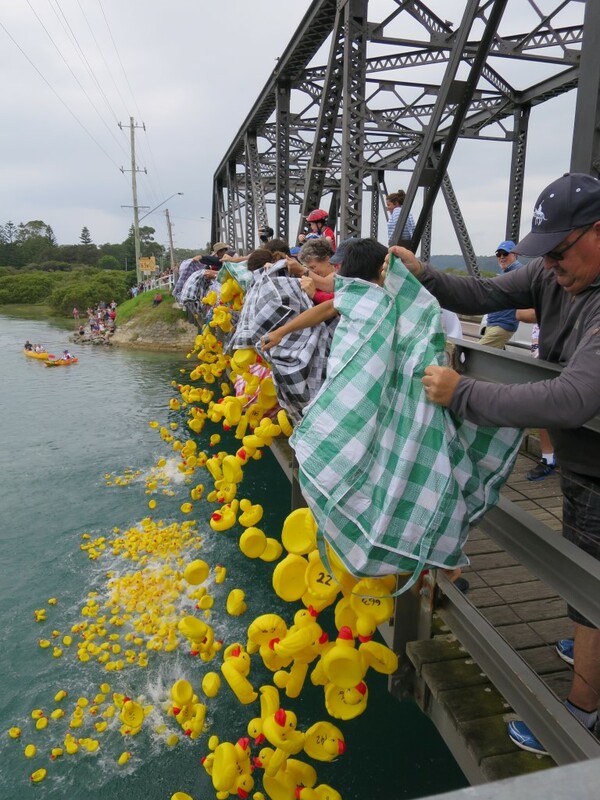 And they’re racing, 1000 ducks take the plunge off Narooma Bridge on Australia Day. The winning duck 415 (corresponding ticket holder Emily and Zoe Deck) after a late spurt just before the finishing line, discusses race tactics with last place-getter duck 334 ticket holder AJ Hayden of Narooma. All hands on deck to pick up the ducks at the finish line. Thanks to Narooma Surf Club members, Rotarians and friends doing the pick up and to Maritime NSW for their assistance. Wanted – Fugitive Duck Suit ! Has not been seen at this years duck race, his whereabouts is a mystery. Frank was disappointed at the no-show – he was overheard to say “I was sooo looking forward to wearing that duck suite, it was my one and only chance, because John Doyle has already put his hand up for the 2017 event”. 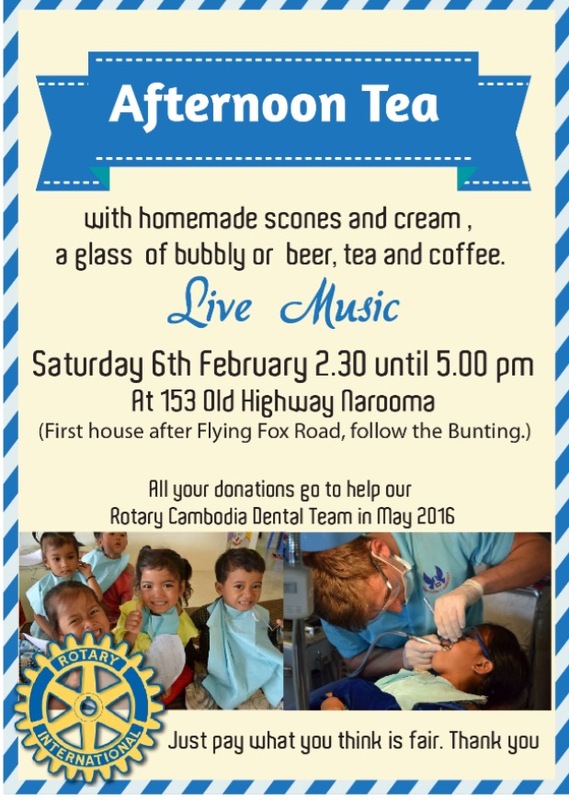 Michael is hosting an afternoon tea at his place 153 Old Highway (first house after Flying Fox Rd). A little boy lost reunited with his Mum, stress with a stall holder, coffee, pizza, ShelterBox, lots of bacon, eggs, sausages, donuts, plants, veggies and much more. Today was our January Market and it did not disappoint. 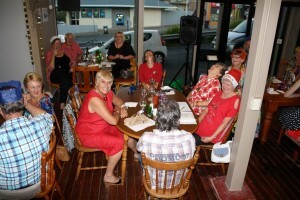 I am always overwhelmed by the commitment of our members towards our major fundraising projects. Allow me a few lines to say thank you to David and Rachael for organising the gate, Laurelle for assisting on the gate and publicity, Frank for marking out and making donuts, John Doyle for helping from 7.30 in the morning with assembling the ShelterBox and cooking Donuts and staying the entire day right through to pack up. Ashley Stanley for helping get the Shelter Box up and happening. Thank you to Sandra for working in the van and for helping pack up, Lynn and Radar for the introduction of new drinks and helping in the van and with pack up and much more. For Rod, Peter, Mike and Merinda for helping with cooking, selling tickets and pack up, Angie for working in the van, selling Duck tickets and much more and to Michael for all his work in making sure the Duck tickets were all sold, marking out and much more and to Rolfe who, despite having a busy day himself making coffees, found time to help with set up and pack up. Truly this is an amazing effort and example of working for community projects…… well done everyone ! Thank you ! 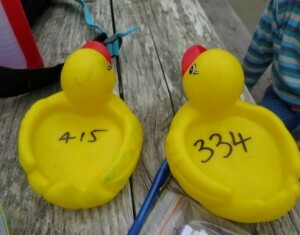 Tuesday is our GREAT DUCK RACE and David has assured me that they will race at 1- 1.30. We need bodies on the bridge to launch and down at Apex boat ramp to collect. This will be good fun, bring 10 friends. Thank you to Michael for stepping in and handling the Duck Ticket sales. 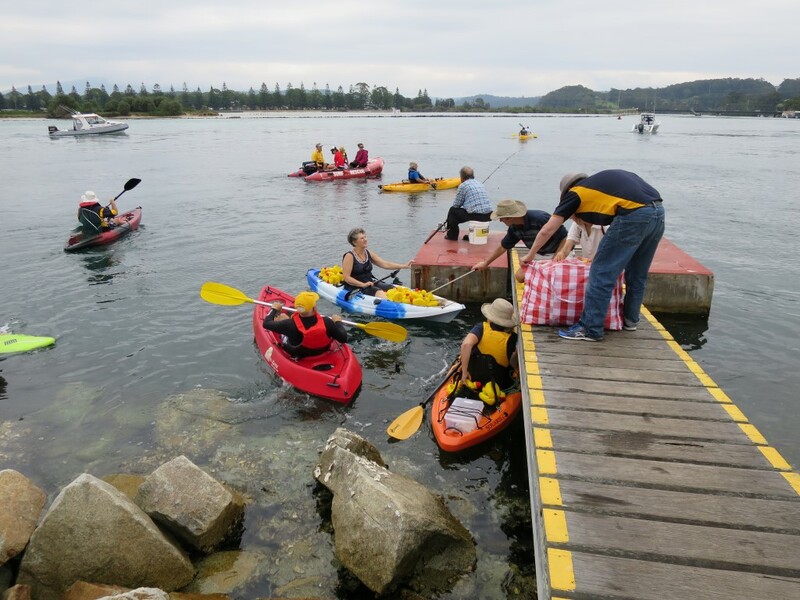 For as long as we’ve been running the Duck Race, we haven’t needed permission….it is fun, it is for charity.. but this year we have had to get approval from the Marine Park Authority. Congratulations and sincere thanks to Rod for navigating his way through the mine field that is Marine Park red-tape-esque paperwork. We have permission to run our Duck Race for 3 years. Don’t forget that Thursday night is our return to the Whale and Youth Night…. Should be a good one….. bring 5 friends. Normally at this time of year we are going slow with business and there is some time to catch our breath but not 2016, it has arrived at a cracking pace. Lots of rain and heat straight after has left little energy at the end of the day. Australia Day will be here in a minute and we are still selling tickets to the Duck Race. If you need a book or you have some time to sell tickets contact Michael or me. This will be a great time and our main fundraiser for ShelterBox. This Sunday is our January Market which should be busy. All hands on deck please to help make life easier and fun for all. See you there, Roster is circulating. On a sad note Lillian Hardie wife of former member and friend Bill Hardie has passed away. They were both active in the club when I joined and Bill was president 2003-4. 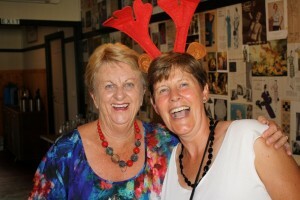 They moved to Tenterfield a few years ago. Our thoughts go out to Bill. 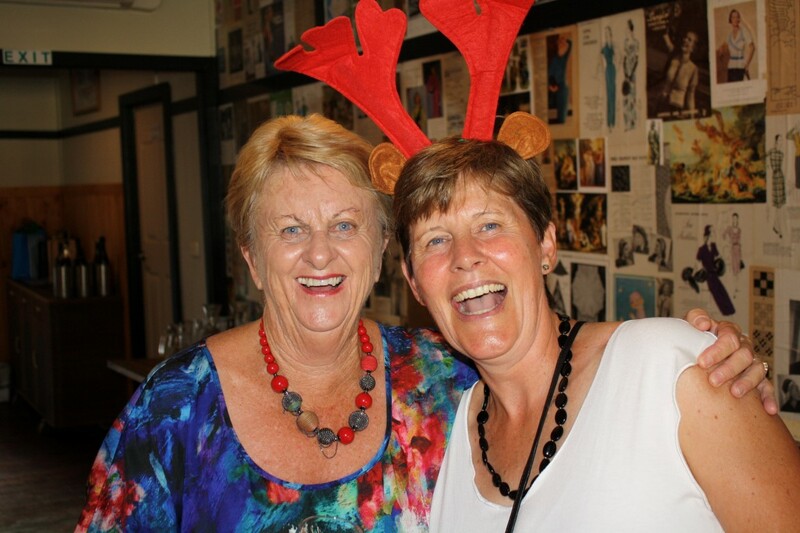 For our friends and members who have started the year with a touch of sadness , let us know if we can help in any way. Radar has had a great holiday spending time assisting Orit and family. 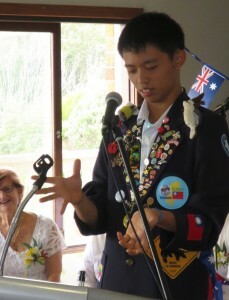 He will speak at the Australia Day ceremony on what Australia is like from his perspective. I haven’t organised a BBQ get together as we are about to be full on. Markets this Sunday, Australia Duck Race on Tuesday and then our Youth night and first meeting back on Thursday followed by Michael’s afternoon tea fundraiser for Charmaine’s Cambodia Trip and much more .